Hosts learn to drive a stick shift; dating as a pastor; actor Brendan Fraser. The woman hit by a car and killed Wednesday afternoon near the Addison Road Metro station was a teaching assistant who worked at a high school nearby, officials say. Jadene Brooking, 25, died after she was hit on Central Avenue near Cabin Branch Road, Prince George's County police said. First responders arrived about 2:30 p.m.
Brooking, who lived on Lee Jay Court in Capitol Heights, was a special education assistant at Central High School, Prince George's County Public Schools said Thursday. Police confirmed on Thursday that Brooking was in a crosswalk when she was hit by a black Nissan Maxima, as witnesses told News4 after the crash. 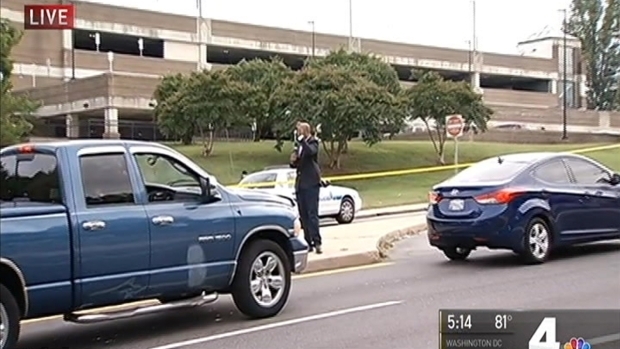 A woman was hit and killed as she walked in a crosswalk Wednesday afternoon near the Addison Road Metro station. News4's Shomari Stone reports. The driver of the Maxima remained on the scene, with a shattered windshield and damage to the front end. The speed limit on that section of Central Avenue is 30 mph. "I'm just empty. I feel like I lost somebody that is very important in my life," said Tim Riley, Brooking's cousin. "The nicest person you would ever meet." Officials will determine if the driver was speeding or using drugs or alcohol. Sources told News4 that there is surveillance video of the crash. Anyone with information on the crash is asked to call police at 301-731=4422. Callers who wish to stay anonymous can call 1-866-411-TIPS, send a text message with PGPD to CRIMES or visit www.pgcrimesolvers.com. Stay with News4 for more details on this developing story.